Artist Vela Phelan of Gang Clan Mafia. On March 27, Raphael Montañez Ortiz will probably not take a hatchet to a piano on stage at the Museum of Fine Arts. But he might do just about anything else. Ortiz, a pioneer of performance art with the group Fluxus, and part of a movement called “destruction art,” famously destroyed a piano on Johnny Carson’s “The Tonight Show.” Now in his 70s, the artist will oversee a destruction concert at the MFA. Munsell has been tasked with developing the museum’s first-ever performance art program. Her mandate: to integrate performance art into the museum via exhibitions, one-time events, and acquisition of performance art works. For years, artists have staged performances in basements, lofts, and alternatives spaces – principally, the Mobius artists’ space, the standard-bearer for performance art in Boston for more than 35 years. Now, area museums and commercial galleries are catching on. March 22 the gallery Anthony Greaney will host “Tactic One,” the first of a proposed series combining electronic music and performance art. Although the Institute of Contemporary Art doesn’t have a curator specializing in performance art, it often stages performance art events tied to their exhibitions, for which programming staff work hand in hand with curators. Last December, as part of “Ragnar Kjartansson: Song,” at the ICA, Kjartansson and a group of musicians from the Boston Conservatory performed the same Franz Schubert song over and over again for hours. That was a performance art piece dressed as a classical music concert. Performance, or the body’s role in making art, is live and unpredictable, and it often involves an audience. Social media, among other things, has sparked a passion for art you can participate in. When the artists’ collaborative Plotform invited viewers to a crocheting bee as part of Boston University’s “System: ECOnomies” show now at 808 Gallery, that was a type of performance art known as social action. The Boston performance scene has been percolating underground for decades. Along with the stalwart Mobius, now-defunct spaces such as Oni Gallery and Meme briefly offered venues. Meme, which was open from 2009-2011, represented a new generation of active artists, such as Schaefer, Fryer, and Vela Phelan, who have spearheaded projects beyond Mobius. Phelan and partner Dirk Adams comprise Gang Clan Mafia, a music-video duo who will headline “Tactic One” tonight. On April 21, Phelan will stage “Near Death,” an eight-hour performance art event featuring local and international artists at the Boston Center for the Arts Cyclorama. Phelan’s works, in which he uses toys, bones, and more, are akin to shamanistic rituals. 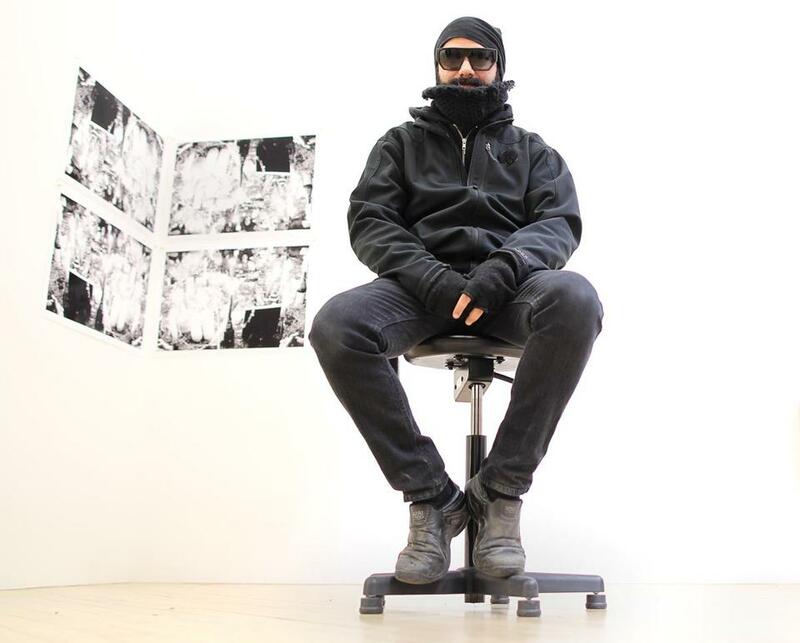 He’s invited artists, including Arsem, to create pieces about approaching death. “To be near death is revitalizing. That’s the irony,” Phelan says. “It makes you exist stronger.” The evening will be dedicated to Bob Raymond, Arsem’s husband, who died last year. A photographer of Mobius events, Raymond was beloved in the performance art community. That’s thanks to the abiding presence of Mobius and the community it has fostered. At the center is Arsem, whom Munsell calls “the godmother of performance art in Boston.” As an artist, she’s known for site-specific and durational pieces, such as “I Scream,” which she performed in 2011 within earshot of a freefall ride in Sweden, where participants regularly shrieked. For several hours, Arsem stood in the courtyard of a the nearby Museum of World Culture, letting 30 liters of peppermint ice cream melt in her arms, screaming in unison with the plummeting people. Arsem sees cycles in performance art’s visibility over the years. She says institutions have been shy about presenting it since 1990, when National Endowment for the Arts defunded grants to performance artists Karen Finley, Tim Miller, John Fleck, and Holly Hughes, individual artists who became known as the NEA Four. Presenter Anthony Greaney (left) and performance artist Vela Phelan right at Gallery. After that, if you were going to perform at an institution, Arsem says, “the rule was, you had to have a signed contract explaining what you would do, three years in advance. It’s easier for an art dealer like Greaney, who doesn’t have to vet his decisions with anyone. Baxter is thrilled to get the attention of a commercial gallerist. “It’s a huge risk he’s embarking on,” she says. Baxter and Morgenstern’s piece, “It Might Get Better,” responds to writer Dan Savage’s “It Gets Better” campaign aimed at LGBT youth. In it, they bellow and scream the lyrics to five broken-hearted love songs, as the tracks play beneath them, for up to two hours. “I’m a hunchback, and that comes into my work,” Baxter says. “The way my body is seen is a major aspect of the work.” Performance artists use their bodies the way painters use paint. The body is where all the action is, all the eyes are, and all the viewers’ projections. Earlier this month, Greaney took a group of performance artists recently sprung from the undergrad program at the School of the Museum of Fine Arts to a mini art fair in New York, including Baxter and Morgenstern. They didn’t perform – “the space did not want them to perform,” notes Greaney – but they did exhibit relics of performances. Piles of clothing. Drawings. Because it’s such an ephemeral experience, performance art is a hard sell. Instead, it’s all about collaboration and the creative process. “You find people you like to work with and trust, and you give them some rope, and they give you some rope back,” says Greaney. Maybe that’s why performance art thrives in Boston. With the big money factor removed from making art, any sense of competition ebbs, and community thrives. This city, with all its art schools, has always had a strong, nurturing network of artists. Correction: Because of an editing error, a caption in an earlier version of this story mistated the artist’s involvement in “Near Death.” He is curating the show.